Sea depths are always tempting many scientists with their mystiques and secrets. No wonder! They covers lots of interesting things. Have you ever heard about the legendary Valley of the Lost Depths? In this free full version game you have a chance to see it with your own eyes and help professor Teresa Robinson investigate its countless treasures. The way is complicated by the living Coral which defends the treasures. 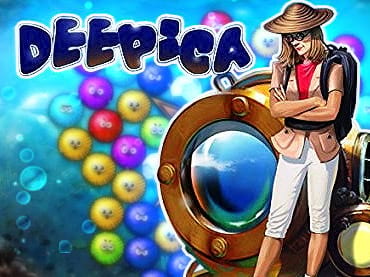 Use your best match-3 skills to overcome all obstacles and get great riches of Deepica! Download free full version game today and defeat the living Coral! If you have questions about Deepica game, please contact us using this form.